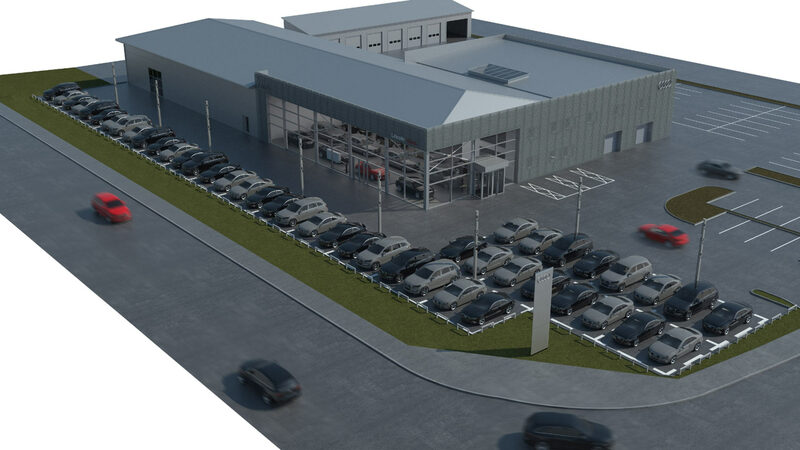 A car retailer is investing £2 million in the expansion of its Audi dealership in Lincoln. Redevelopment of the two acre site on Doddington Road will include an extension, doubling the size of the existing showroom and customer areas which will incorporate a first floor service lounge as well as two vehicle handover rooms. The new showroom will also boast the latest multimedia integration with interactive screens. The project is due to be completed by next spring and has been funded by JCT600, a motor firm with 50 dealerships in the north of England. All departments at Lincoln Audi will be open as usual during the redevelopment, housed in neighbouring offices and in temporary on site accommodation. Mark Taylor, Group Property Director of JCT600, said: “This will transform our Lincoln dealership, bringing it in line with Audi’s newest, state-of-the-art showroom design. “One of the most unusual features will be a ‘customer private lounge’ concept which incorporates a relaxed interactive touch screen experience, enabling the customer to design their own new car. “The refurbishment promises to enhance customers’ visits with many additional facilities as well as completely refreshing the showroom internally and externally. Audi Lincoln has operated for over 20 years and employs 100 staff. It offers a full range of new and Audi approved pre-owned vehicles as well as service and maintenance facilities.